At only 930 passengers, Viking Sea has an intimate atmosphere and access to ports that are out of reach for bigger vessels. Expand your knowledge in the carefully curated library, relax with a cup of tea in the airy Wintergarden, or escape to a Nordic sanctuary of wellness in The Spa. Just a brief walk across the ship will bring you to its enrichment lectures, art, and restaurants that allow you to taste the regional flavors. When you’re ready to retire, head to your stateroom, which is fully loaded with a large flat-screen TV, mini-bar, Wi-Fi, 24-hour room service, and even luxury robes. 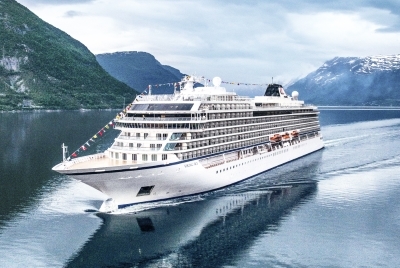 Viking Sea is dedicated to adults and therefore does not carry children or teenagers under the age of 18. Tipping Guidelines Viking automatically charges $15.00 per day, per guest to your shipboard account. A 15% gratuity will automatically be added to bar, beverage, wine and deck service tabs. To change the gratuity amounts or pay in cash, visit the Explorers’ Desk onboard.